Card Crawl version 2.2 is submitted and will include several new things. Here’s a brief overview of what we are going to change and add. 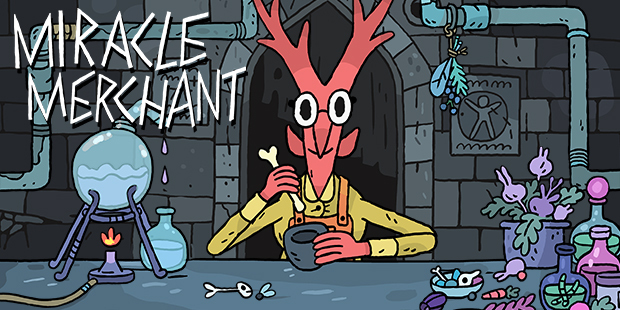 Leech – Gain life equal to the value of the selected dungeon card. Trade – Sell any non monster card for the double of it’s value. Feast – Raise a dungeon cards value by the values of its adjacent cards. Bash – Use an equipped shield as a weapon. Each attack the shield loses 1 durability. 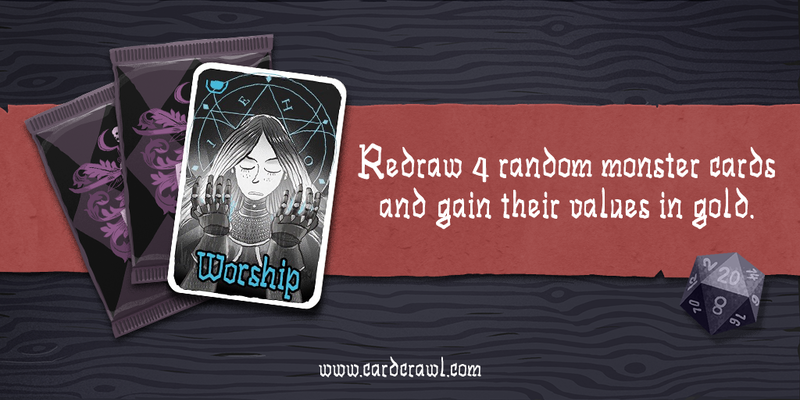 Worship – Redraw 4 random monster cards and gain their values in gold. Along with these changes we are going to reset the global highscores for Game-Center and Google Play for the first time. This way we can guarantee a fair competition for everyone and remove some of those pesky hacker scores. Hopefully we will see you back in the top ten! In addition to the balancing changes we are going to introduce a new mode that will replace the Streak-Mode. The Delve-Mode is a new mode in which you will try to decent in a special Dungeon that get’s harder over time. Each game you will be tasked to collect a certain amount of gold and finish the dungeon deck. Once complete you will descent into the next depth that will increase the amount of monsters you will face and also the amount of gold you need to collect to complete it. If you fail a depth your progress is not reseted but you will have to retry the previous depth again. As said Delve-Mode will replace Streak-Mode but has the same requirements to be unlocked. We hope this mode will give our advanced players a new challenge that is less dependent on playing save but will challenge your gold collecting and your monster slaying abilites. This will be the last planned update for Card Crawl. We hope that we can now focus completely on Card Thief and maybe revisit Card Crawl once we are finished with Card Thief in a few month.